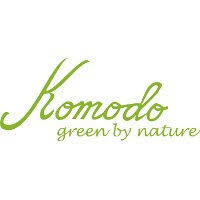 Find here the best Komodo coupons, vouchers and deals. “Ethical fashion pioneers* Komodo create contemporary, casual pieces using the finest quality organic, natural and innovative eco fibres – including organic cotton and hemp, 100% merino wool (from certified non-mulesed sources) and recycled polyester (PET). They seek to provide an affordable alternative to the culture of fast fashion by balancing timeless style with sustainability. Producing seasonal menswear collections with respect for both people and planet. Our collection of eco friendly women’s clothing & accessories have been lovingly designed using organic, natural & sustainable materials without compromising on style & comfort. All of our items, from tops & dresses, to trousers & coats, are guaranteed to leave you looking and feeling amazing.